Also known as Alkathene pipe, water pipe and blue wate pipe. 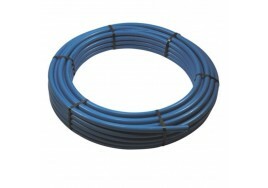 MDPE pipe is generally used for the supply of cold water. This product is made from medium density polyethene and is fully certified to British Standard. Compatible with all push-fit and compression fittings available on the market. Please note, pipe sleeves/supports must always be used.